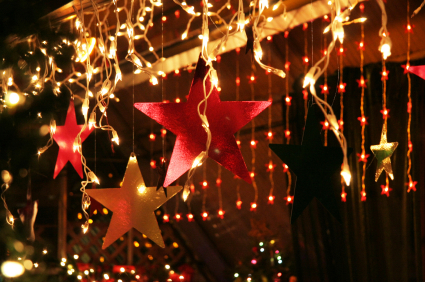 Surveying all the authors' names on these upcoming winter books reminds me of attending a neighborhood holiday party. It's always fun hanging out with old friends, but it's also exciting getting to know acquaintances better and meeting some interesting-looking newcomers. Today I'll talk about writers both familiar and new to me. I wonder which of them you already know. Are you familiar with Mo Yan, the Chinese writer who won the 2012 Nobel Prize in Literature? 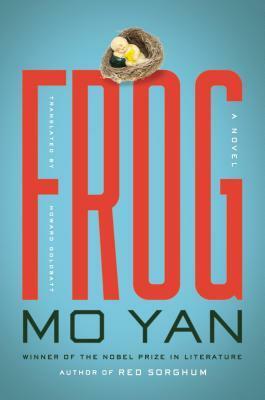 His given name is Guan Moye; his pen name, Mo Yan, means "don’t speak." Many of his novels contain elements of folklore and magical realism and are set in rural Shandong, where his parents farmed. For example, in Life and Death Are Wearing Me Out, narrator Ximen Nao covers 50 years of modern Chinese history, as he is executed during Mao's 1948 Land Reform Movement, goes to Hell and is tortured by the underworld's Lord Yama, before being reincarnated as five successive animals that return to his farm. Shandong is also the setting for Mo Yan's most famous book, Red Sorghum, involving three generations of a sorghum wine-making family from the 1920s through the 1970s. Its cruelty and graphic violence make it tough to read, but it's a memorable book. The 1987 Zhang Yimou movie based on it is narrated by a man about his grandmother, Jiu'er (played by Gong Li), a young bride who travels to Shandong for a pre-arranged marriage with an old distillery owner during the Second Sino-Japanese War. It was one of the first movies I saw with my now-husband, and I still remember its stunning cinematography and shocking sudden violence. I can't count on any sort of siege situation in Smith's How to be both, which Pantheon just published here in the US on December 2nd. 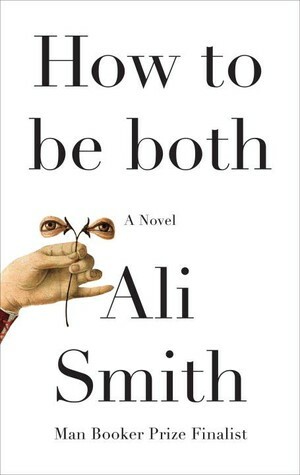 I'm anxious to read it, though, because it's been called Smith's best book yet, and it was shortlisted for the 2014 Booker. 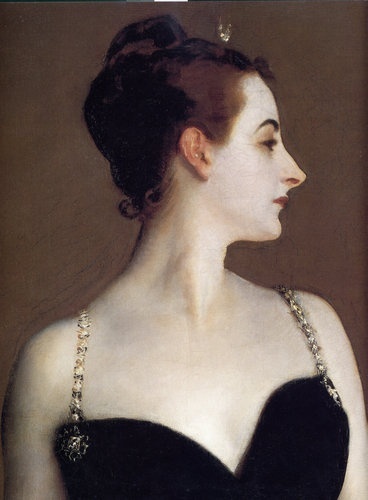 The publisher calls it a "fresco novel" (i.e., "a painting done rapidly in watercolor on wet plaster on a wall or ceiling, so that the colors penetrate the plaster and become fixed as it dries") with two halves. The book is published in two versions, which begin in one of two different ways: with 16-year-old George (for Georgia), whose mother has died suddenly after their trip to Italy; or with little-known Renaissance painter Francesco del Cossa in the 1460s. Which version you get depends on chance. The publisher says, "The narratives are exactly the same in both versions, just in a different order. The books are intentionally printed in two different ways, so that readers can randomly have different experiences reading the same text." The novel––full of puns, wordplay, and prose from the 1460s, as well as the present––looks at art, language, youth, time, death, and gender. Needless to say, this complicated book is not for readers who like a stripped-down narrative that travels from beginning to end without any zigzagging detours. I'd love to hear from somebody who's read it. It sounds fun. 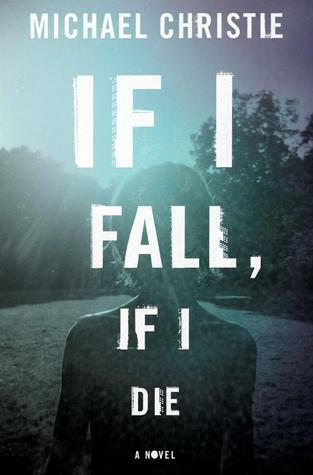 I doubt that "fun" is quite the right word to describe Michael Christie's first full-length novel, If I Fall, If I Die (Hogarth/Crown, January 20), although reviewers say it's mesmerizing and features beautiful prose. It's about a boy, Will, who begins going Outside after 11 years of life Inside with his loving mother, Diane, a filmmaker who has become so extremely agoraphobic she dreads even opening the front door. It's estimated that four to five percent of people have one or more phobias, and some phobias, such as Diane's, are so serious if left untreated, they can cripple the sufferer and affect others around him or her. You can imagine how delightful it must be for a boy to discover the outdoors and to meet other kids. The first boy Will meets, Jonah, introduces him to skateboarding. (I smiled when I read Canadian writer Christie's background in psychology includes a stint as a pro skateboarder.) Jonah and Will eventually take off on a search for a boy who's missing. As Will's life expands Outside, Diane becomes increasingly distraught Inside, and we learn piece by piece how her life came to be this way. In If I Fall, If I Die, we see Will come of age in Thunder Bay, Ontario, and we take a look at fear from various points of view. I imagine readers who enjoyed books such as Emma Donoghue's Room, Carol Rifka Brunt's Tell the Wolves I'm Home, or Helen DeWitt's The Last Samurai might want to check this one out. A couple of years ago, I met a different Will in Michael Kardos's first novel, The Three-Day Affair (see review here). That Will was a drummer in a New York City band until a stray bullet killed the bassist and sent him and his wife retreating to a quiet life in New Jersey. When the book opens, Will is a recording studio sound engineer who's getting ready for the ninth annual get-together with his best Princeton buddies. Instead of their usual luxurious weekend destination, this time it will be at Will's house. It should be a pleasant weekend with friends. As Will says, "By then, violent crime was about the furthest thing from my mind, until the night when I helped one of my best friends kidnap a young woman." The Three-Day Affair is a twisting-and-turning examination of friendships, group thinking, and how we make decisions when faced with a moral dilemma. 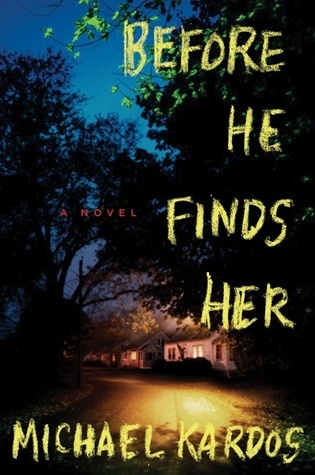 It was so entertaining to read, I've kept my eye out for another Kardos book, and here it is, Before He Finds Her (Mysterious Press, February 3), a story about another character trying to reconcile the past with an impossible present and attempting to create a doable future. After a Silver Bay, New Jersey block party in 1991, Ramsey Miller murdered his wife, Alison, and their 3-year-old daughter, Meg. Not only was Miller never apprehended, Meg didn't actually die. She was moved to West Virginia under a witness protection program and brought up under an alias, Melanie Denison. Melanie is now 18 years old and pregnant. She chafes at her restricted life and decides to search for her father. Judging from comments of early reviewers, this is another stand-out crime novel. I haven't yet read anything by writer Michael Crummey, who's been called one of Canada's finest novelists, but I can see this must change. In describing his 2011 book, Galore, Kirkus says, "Ghosts, gangsters, mermen and a Christ-like healer who emerges from the belly of a beached whale are among the attractions in a boisterous, one-of-a-kind folk epic about feuding intermarried clans in Newfoundland." C'mon, who can resist reading that? 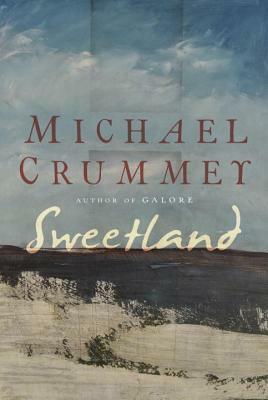 The synopsis and early reviewers' comments about weeping once they've finished Crummey's Sweetland (Liveright/Norton, January 19) make it sound about as irresistible. Sweetland is the name of a remote island in Newfoundland and the family name of 12 generations who've lived there. Now, the mainland government is paying the few remaining islanders to relocate off the island, but only if everybody will go. Moses Sweetland refuses. I'm taken by a book about a man who loves his land and clings to what must be a hard life, but the only one he's ever known, as everyone vanishes around him. The comment that Sweetland's ending is both inevitable and surprising sealed the deal for me, and this one goes onto my list. I know westerns aren't everybody's cup of tea, but there are westerns and then there are westerns, novels so poignant and revelatory about the American psyche that anyone should be able to enjoy them. Among these novels I count Thomas Berger’s satirical Little Big Man, featuring Jack Crabbe, a man raised by whites and Indians (Dustin Hoffman stars in the movie); Charles Portis’s True Grit, whose main protagonist, 14-year-old Mattie Ross, hires US Marshall Rooster Cogburn to extract some retribution (Jeff Bridges plays Rooster Cogburn in the Coen brothers' 2010 remake of the 1969 movie, which stars John Wayne); Cormac McCarthy’s violent Blood Meridian, in which a young runaway joins a group of scalp hunters on a rampage along the US/Mexican border; and Larry McMurtry’s Lonesome Dove, an adventure/love story/western epic centering around a band of Texas Rangers whose horses carry them from Texas to Montana (there are a slew of sequels that formed a TV mini-series in 1989). Some novels set in the more recent American West feature modern versions of these archetypal characters and also deal with themes of self-reliance, violence, justice, forgiveness, and retribution. 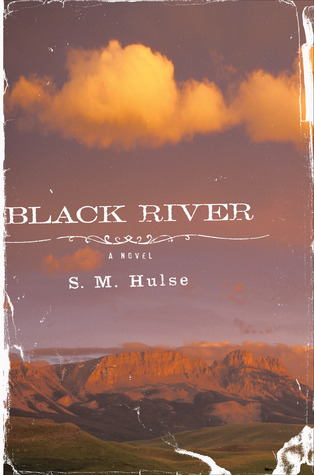 Publishers Weekly calls Sarah M. Hulse's Black River (Houghton Mifflin Harcourt, January 20) a "top-of-the-line modern American Western debut." Wes Carver grew up in Black River, Montana, where he became a corrections officer, like many of his fellow townsmen, in the Montana state prison there. He's 60 years old and living in Spokane, Washington, when his wife, Claire, dies. Wes fulfills her request to transport her ashes back to Black River, where they left Claire's 16-year-old son, Dennis, when they moved to Spokane 18 years earlier. That's not the only item on Wes's agenda. Twenty years ago, Black River convict Bobby Williams led a prison riot during which two guards were killed and Wes was tortured for 39 hours. Now, Williams, who has become a model prisoner after becoming born again in religious faith, is up for parole. Wes, a rigidly moralistic man who struggles with his own faith, aims to stop that. Della Streetwise will be back shortly with more winter previews. In the meantime, happy holiday planning.